Neanderthal. Theres not a noun as evocative in the entire lexicon of science, but apart from vague imputations of primitive brutishness how many of us can really specify what that term evokes or should evoke? No early human relative has triggered more scientific debate or more strongly captured our imagination than Neanderthal Man. Why, after brilliantly surviving several severe Ice Age glaciations to thrive for 400,000 yearstwice as long as modern humans have been on Earthdid Neanderthals suddenly drop out of sight? 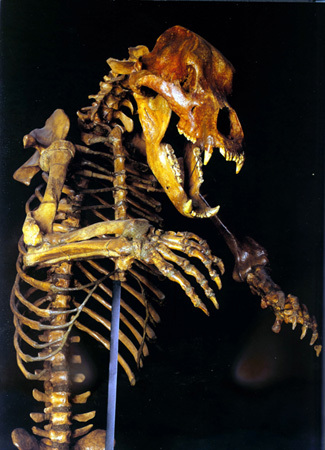 That they disappeared astonishingly recentlyless than 30,000 years ago, just when Homo sapiens were appearing in Europemakes the mystery even more tantalizing. Written by one of the worlds leading authorities, The Last Neanderthal paints the first fulland fully illustratedportrait of the most familiar and haunting of human relatives, the Neanderthals. Assembled for this book is an unparalleled collection of fossil and archaeological materials. This breadth and quality of visual documentation of Neanderthals is not available from any other source. Weaving together the archaeological and fossil evidence with the lessons of evolutionary theory, Tattersall draws on the latest knowledge about how Neanderthals evolved and lived to solve the riddle of how they died. His vivid account brings the Neanderthal back to life for us. Ian Tattersall, Curator of the Department of Anthropology at the American Museum of Natural History in New York and adjunct professor at Columbia, is a revered authority on Neanderthals and is the author of The Fossil Trail, The Human Odyssey, co-editor of Encyclopedia of Human Evolution and Prehistory, and co-author (with Niles Eldredge) of The Myths of Human Evolution. 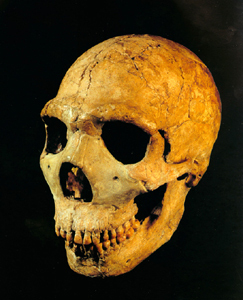 Neanderthal skull from Amud, Israel.